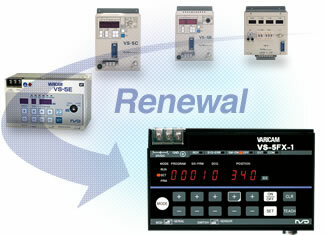 NSD offers renewal service for providing customers with updated products that can replace discountinued ones. Differences in connector configuration or installation dimensions can be resolved with the use of update tools that accommodate pre-change installation dimensions or old switch output cable configuration. Existing sensors and extension sensor cables can be used as they are. Contact your NSD sales representative for detailed updating manuals. Production of some models has been discontinued prior to the date shown above. Contact your NSD representative for further details.